For over 90 years Gewürzmühle Brecht has been one of the organic pioneers in Germany. We are convinced that unadulterated foods produced in harmony with nature are best for our health, environment and the future. We compose more than 200 products from organic herbs and spices obtained from selected cultivation areas throughout the world: highly aromatic spice blends and spice preparations as well as gourmet salts, seasonal products and gift sets. Apart from the spice classics that are an essential part of every cuisine and traditional healing herbs, we place our focus on developing innovative, exotic products that reflect current trends. The superb organic quality of our herbs and spices has its roots in the principles of organic farming and consistent sustainability. Whether regional or worldwide – our growers run organic farms certified according to European standards. Over and over again, head-to-head comparisons show that Brecht compositions have a superior aroma and generally a more intense flavour. For optimum protection of taste and aroma with the Brecht brand, we rely on the unique Brecht amber glass. We observe the highest production and taste criteria in selecting our organic spices. For 25 years Gewürzmühle Brecht has held organic certification according to the EU Standard (Control Body Number: DE-ÖKO-001). The EU organic logo also guarantees the product is free from genetically modified organism. As a producer, however, we set standards which go far beyond the requirements laid down by law. One example of this is our IFS Certification. Brecht places great value on protecting natural resources and the environment, e.g. by providing refill packs for our jars and mills. 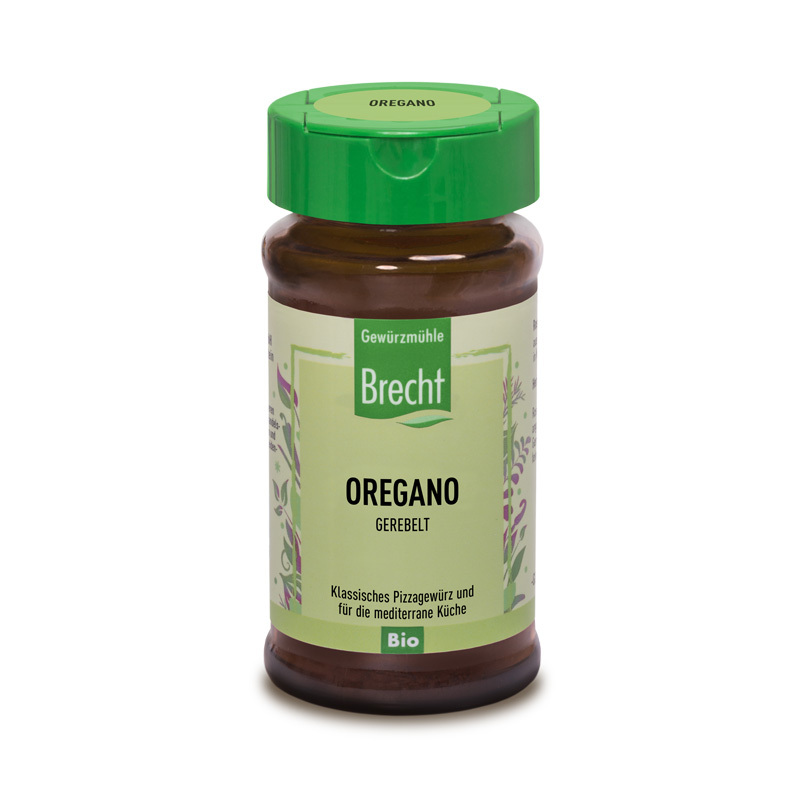 Brecht organic spices are extra fresh, because we grind them in small batches. For our blends we are using the same top-quality raw materials we use for our mono products. Sensitive products are carefully sorted and filled by hand. These processes are 100 per cent conducted in Germany. We attach great importance to maximum food safety. For this reason, spices are not approved for our meticulous processing system until each single batch has been checked on arrival by an independent laboratory (e.g. for possible residues). Thanks to these stringent quality controls there has not been a single product recall in almost a century of company history. This makes us a reliable long-term partner for our global customers from the retail trade, industry and food service. With the Brecht brand we are category captain and Germany‘s No. 1 in the “health food channel”. 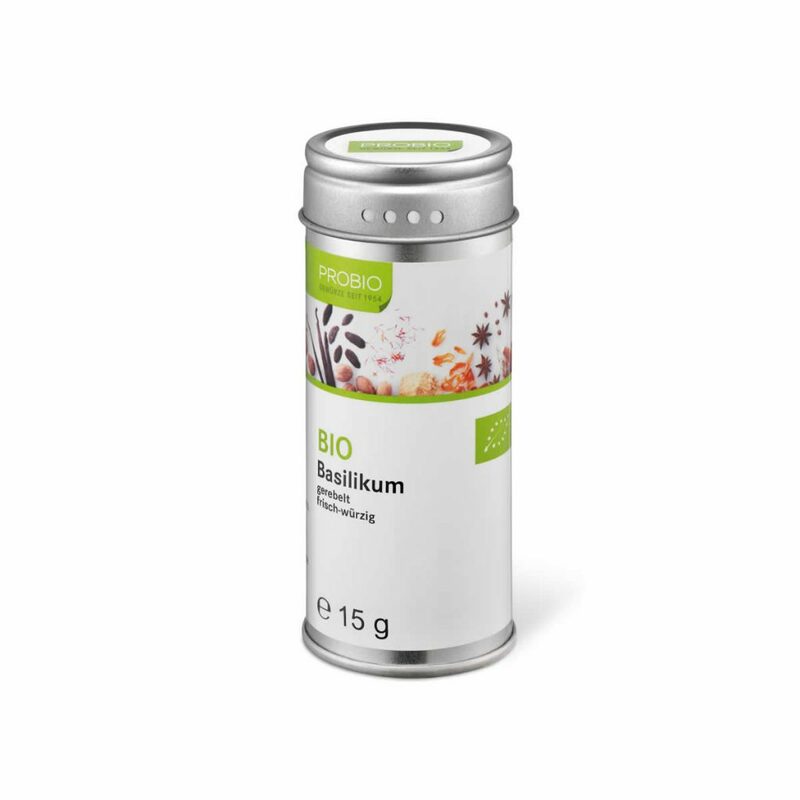 With the PROBIO brand we place our uncompro- mising organic philosopy and flavoursome quality of our products in food retailing in the German- speaking area. As a competent partner and organic pioneer, we meet the growing interest in custom designed spices, herbs, and blends in organic quality. Besides large quantities, our great flexibility also allows filling of smallest quantities. Apart from developing individual recipes, we create packaging solutions (e. g. jars, tins, compo- site cans and tubular bags). We also take care of production, labelling, storage and logistics. Together with our distributors abroad we manage market entry, building and management of our own premium organic spice brands. Numerous national and international customers from the food industry as well as butchers and artisan bakeries have long relied on us as specialists for organic spices and herbs. We support industrial clients by providing products in bulk and customised solutions for blends, marinades and convenience products. With decades of experience and a sound knowledge of the markets and consumers we accompany our partners on their road to success. Our organic expertise makes Gewürzmühle Brecht a valued partner of food service customers including restaurants and many other formats. We create custom-fit solutions to meet our partners’ own special requirements. We offer a wide variety of packaging options – from spice sachets to large-size packs. Outstanding organic quality, scalability, flexibility, reliability and maximum food safety are the uncontested strengths of Brecht – one of the most experienced and innovative spice manu- facturers in Germany. Whether you are from the organic specialised trade or food retail trade, industry or food service – you have different requirements and expectations of us as the organic spice specialists. You can download the information of this page as PDF here.